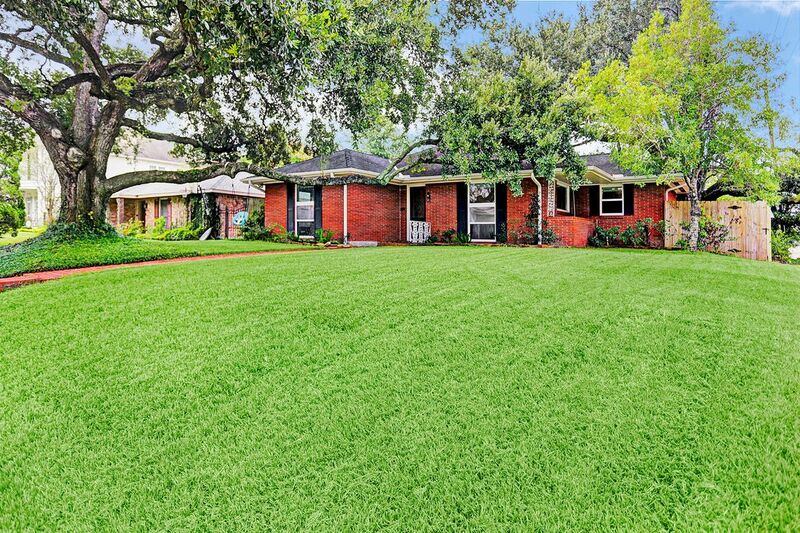 3751 Underwood Street, Houston, TX 77025 | Martha Turner Sotheby's International Realty, Inc. 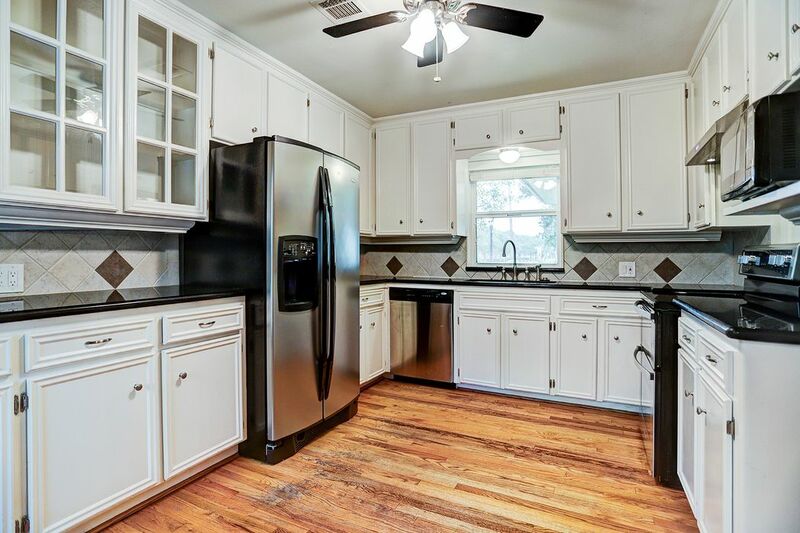 The KITCHEN (14 x 11) features granite countertops, stainless steel appliances and tons of cabinet storage. 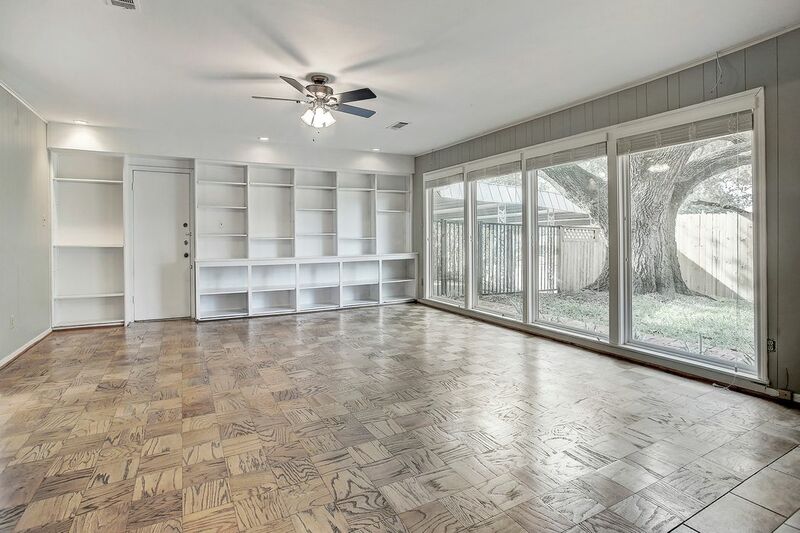 The oversized FAMILY ROOM (31 x 19) has fantastic natural light through the floor to ceiling insulated windows. 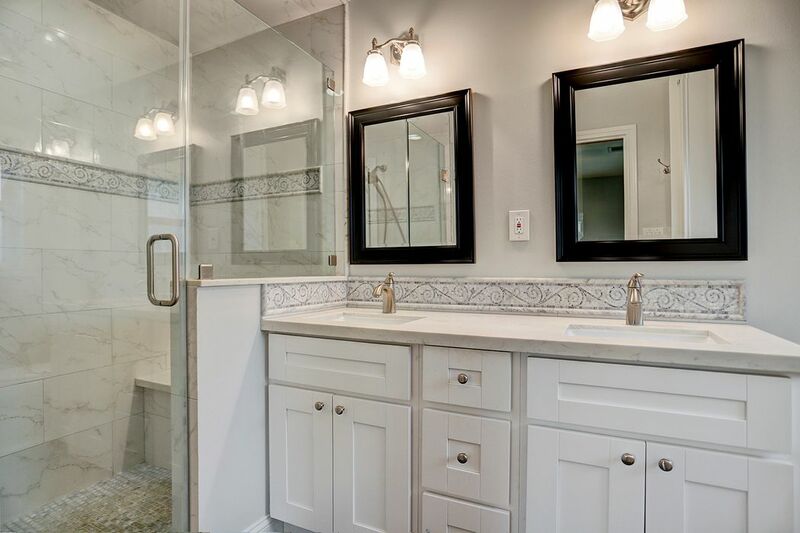 The updated MASTER BATH features a double vanity with granite countertops, a walk-in shower & storage space. 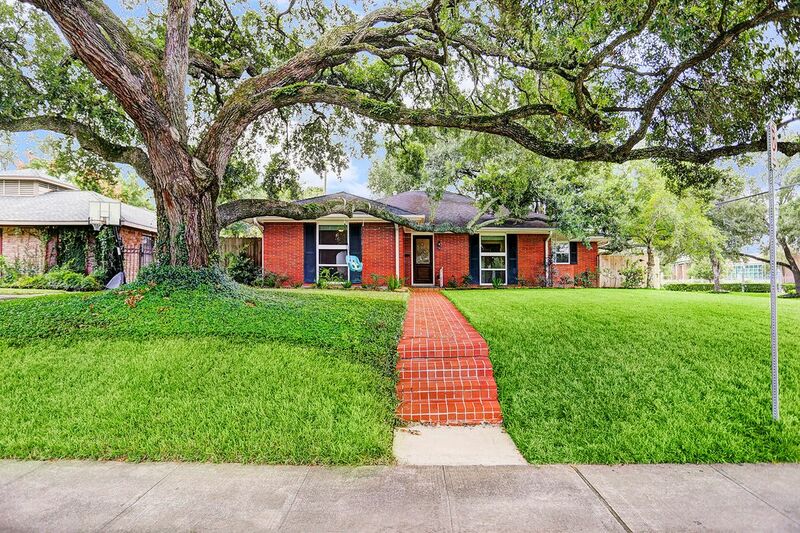 Cozy ranch house flanked by two amazingly majestic Live Oak trees in highly desirable Braes Heights. So many opportunities: Update, Live Now/Build Later or Build Now. 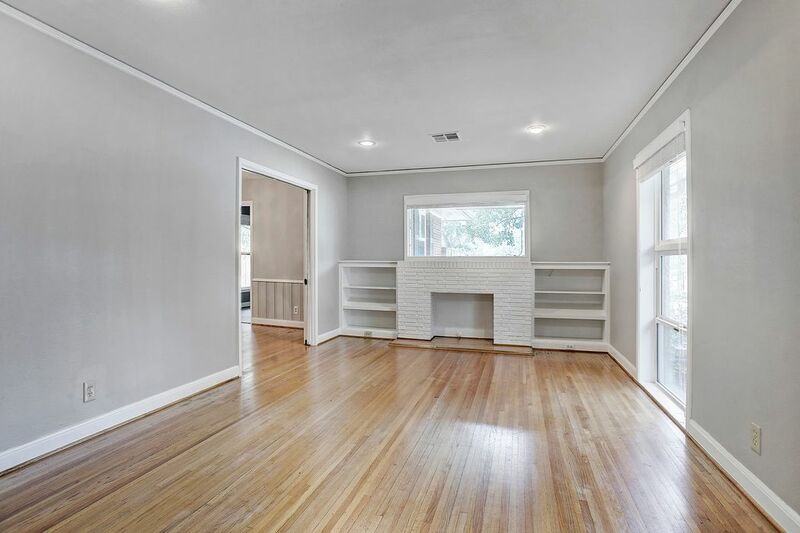 The LIVING ROOM features built-in shelving, a brick surround mock fireplace & fantastic natural light through the large insulated windows looking out onto the front yard & gorgeous Live Oak tree. 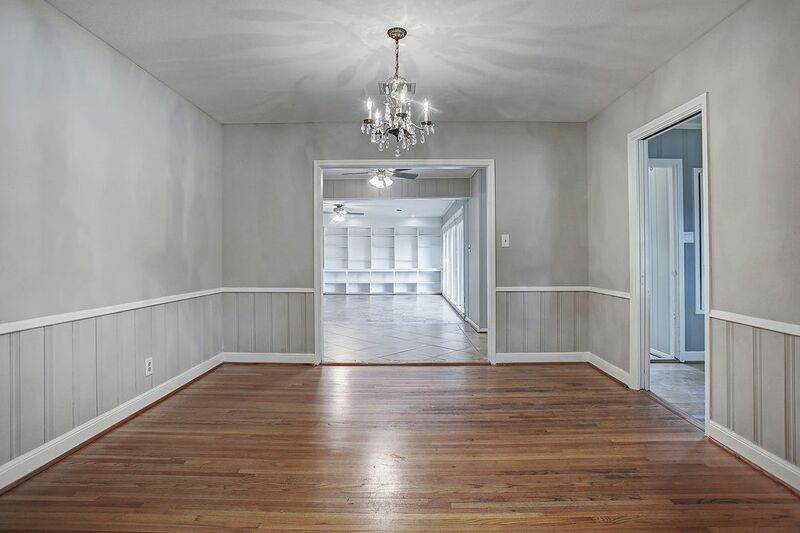 The DINING ROOM (13 x 12) is situated just off the family room & kitchen. 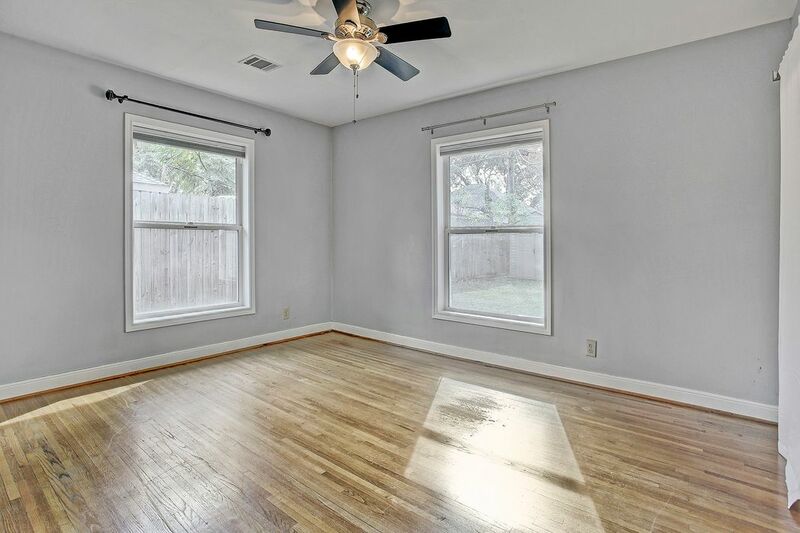 This MASTER SUITE (15 x 12) has tons of natural light through large insulated windows. 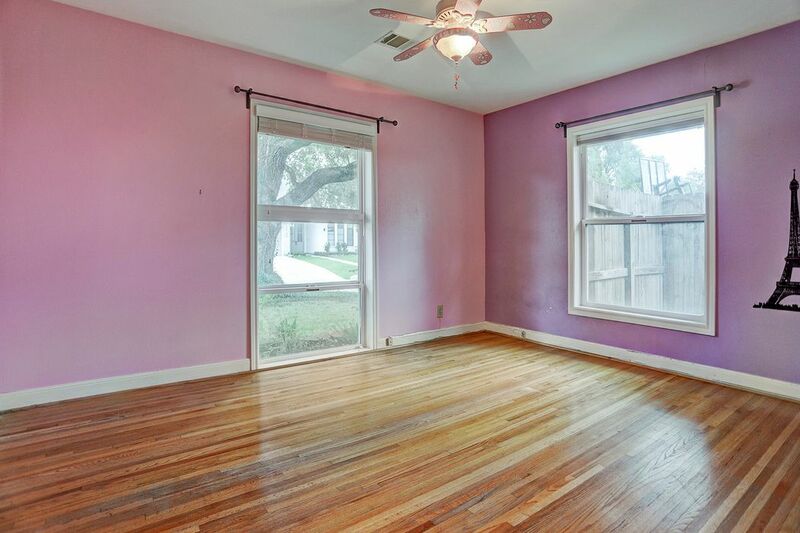 This SECONDARY BEDROOM (15 x 12) has wonderful views of the front yard and beautiful Live Oak. 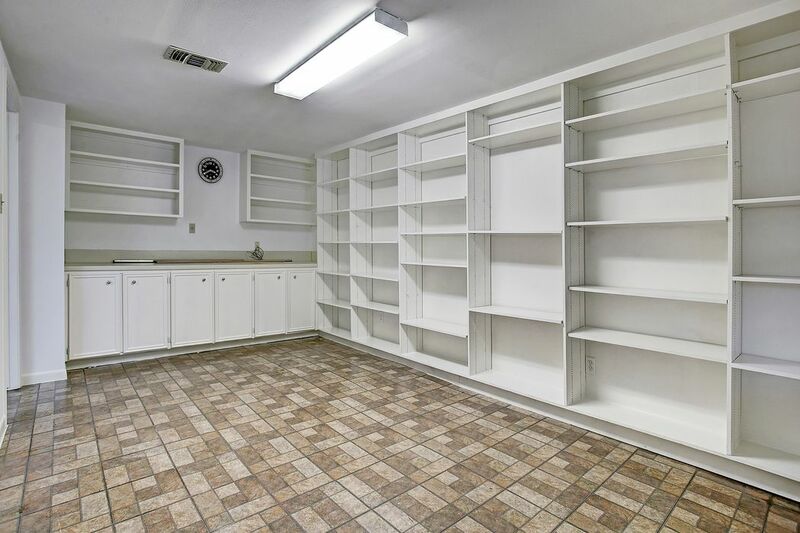 The UTILITY ROOM/MUDROOM (19 x 9) includes tons of built-in storage cabinets and provides access to the carport and backyard. The FLEX ROOM (19 x 10) could serve as an office, studio, children’s play room – your choice! 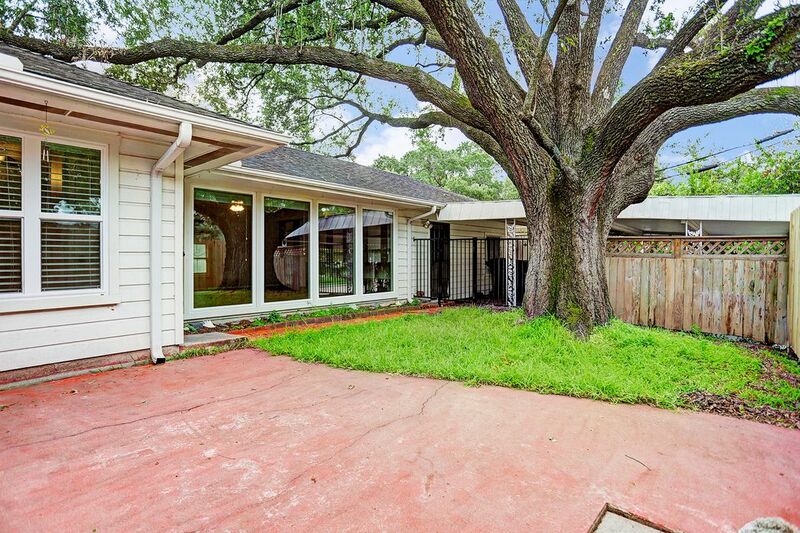 Enjoy your morning coffee on your SIDE YARD PATIO with gorgeous views of this large, majestic Live Oak tree. 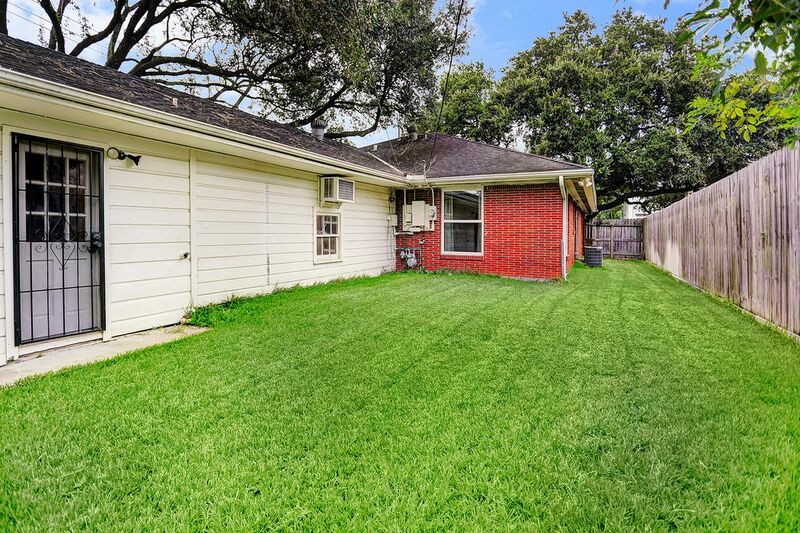 Fantastic BACK YARD with plenty of green space for pets or play, or a pool! 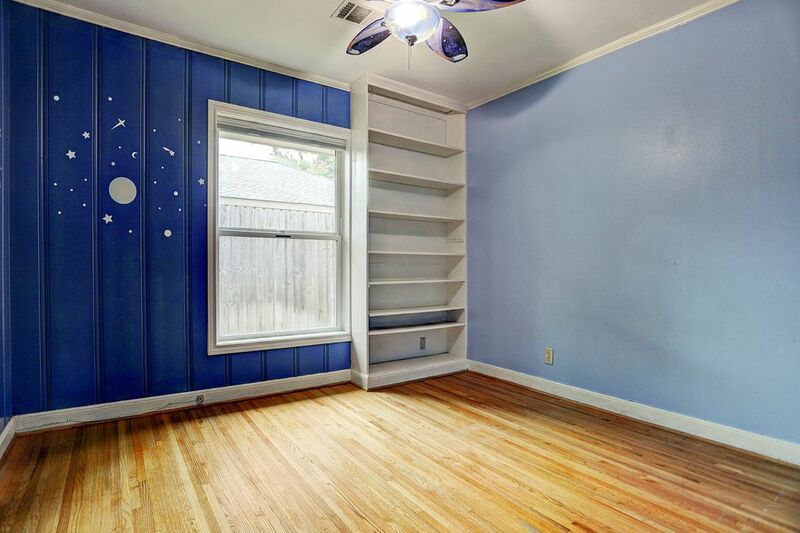 This property is located on prestigious Underwood St. & offers amazing walkability to Mark Twain Elem., Pershing MS, parks and more! 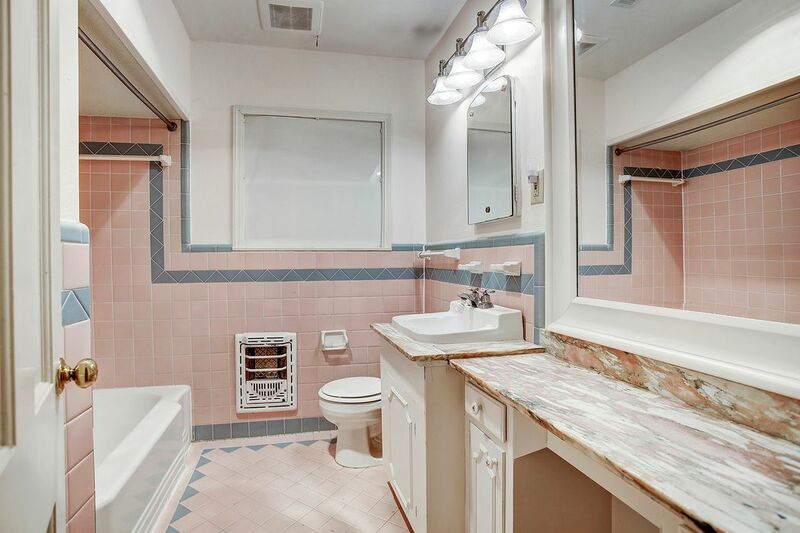 $600,000 3 Bedrooms2 Full Baths2,633 sq. ft. Located on prestigious Underwood Street and across from acclaimed Mark Twain Elementary, this exceptionally large ranch house (2,633 Square. Feet. *) sits on an 8,750* Square. Feet lot flanked by two amazingly majestic live oak trees. 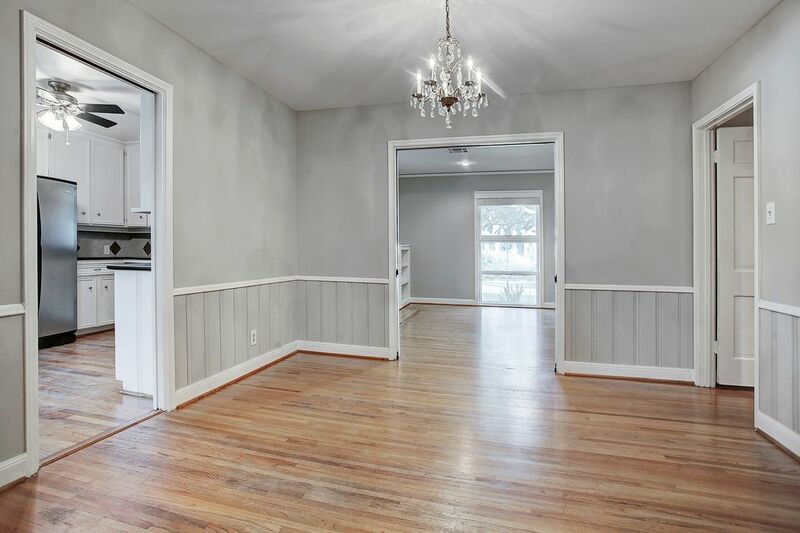 The home features an updated kitchen, recently updated master bath, insulated windows, wood floors, updated plumbing (drain lines), an enormous family room (31x19), over-sized utility/mudroom (19x9) and a large flex room (19x10) which could be used as a 4th bedroom, office, studio or gameroom – your choice. 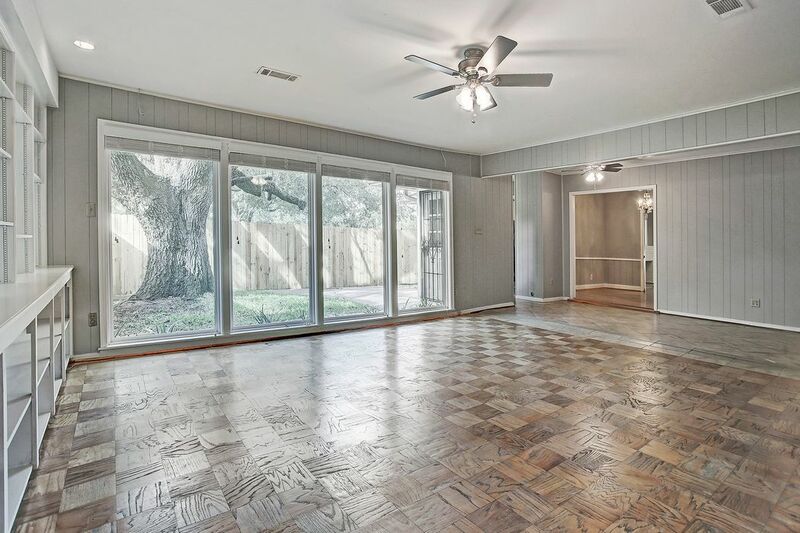 If building, the majestic Live Oak trees will beautifully accent your new construction. 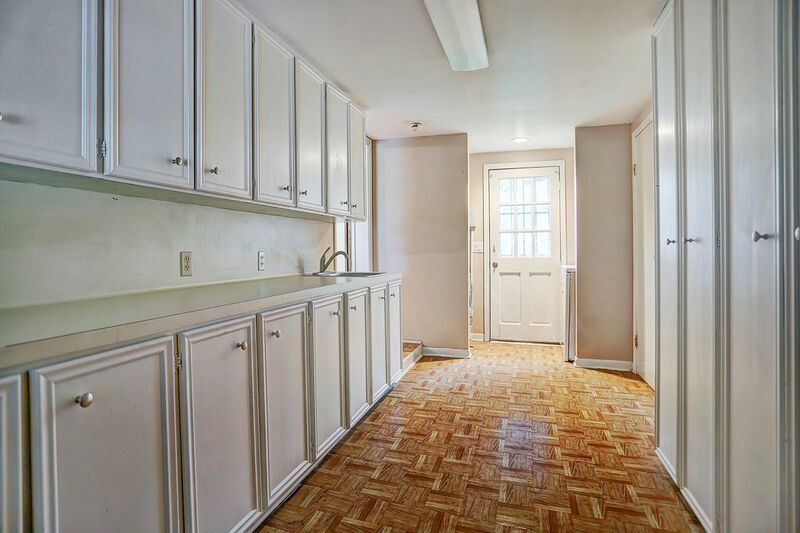 This property offers so many opportunities: Renovate, Live Now/Build Later or Build Now. Priced at lot value and selling as-is. Fantastic Walkability to Mark Twain Elem, Huckleberry Park, YMCA, Library & More. Did not flood - house is not in 100-year flood zone. *Appraisal District. All other information per seller.